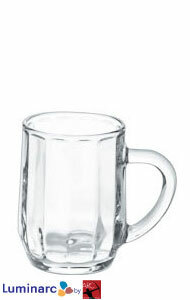 Brighten up your everyday life with our heavy duty glassware. 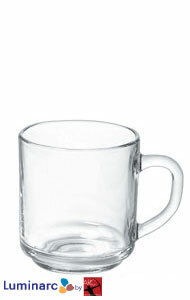 Our 10 oz Glass Mugs by Luminarc are some of the most popular glass mugs in our collection of glassware. They are available in clear glass or in a frosted finish. 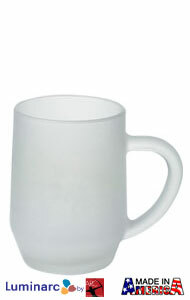 Not only are these mug affordable, but they are perfect for a wide variety of uses from drinking coffee to beer. Everyone will love the fact that they can experience their beverage not just through taste, but visually too. 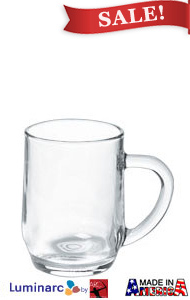 Our 10 oz drinkware is made with thick glass to retain drink temperature longer while the broad handle makes for easy handling. 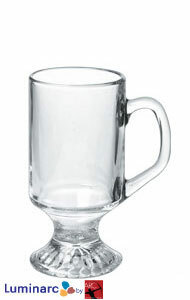 Because of their versatility, these mugs make great birthday gifts, affordable wedding favors, and perfect restaurant drinking glasses.